NSS has released a new position paper entitled “A Space Guard to Enable, Regulate, and Protect National Civil and Commercial Space Activities.” The abstract is below. Please note that a Space Guard is not a Space Force! 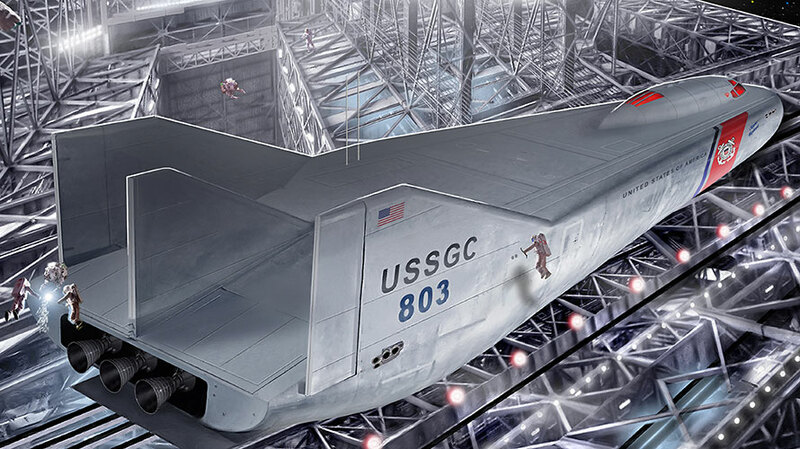 Illustration above: An artist’s impression of a crewed U.S. Space Guard Cutter. While this is unlikely anytime in the near future, a Space Guard could ultimately evolve into human spaceflight operations, with a rescue, security and enforcement capability. Image credit: James Vaughan. The National Space Society (NSS) is proposing a transparently operating civil U.S. Space Guard with a national and collaborative international scope of operation. Such a civil Space Guard would initially be established and funded with the capacity and responsibility to: (a) license and regulate U.S. civil and commercial space activities, other than as currently conducted by the Department of Commerce (DoC) space offices for various functions, by the Federal Communications Commission (FCC) for radio frequency spectrum, and by the Office of Commercial Transportation in the Federal Aviation Administration (FAA) for rocket launches; (b) monitor and guide U.S. civil and commercial space activities pursuant to applicable international treaties; (c) enforce U.S. civil and commercial space regulations; (d) coordinate with U.S. civil and commercial space and aviation offices to enhance efficiency, safety, and space traffic management; and (e) engage the international space community in collaborative efforts to advance space development throughout Earth orbit, cislunar space, lunar surface operations, orbital spaces, solar system planetary bodies, and beyond. 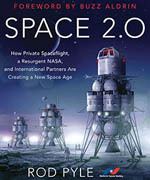 In the future, the U.S. Space Guard’s role would expand by adding the capacity and responsibilities to: (a) carry out inspections and enforcement related to unlawful activities in and around restricted commercial safety and work zones established by U.S. civil and commercial entities; (b) license and regulate U.S. civil and commercial orbital debris removal technologies and missions; (c) maintain U.S. civil and commercial navigation aids, shelters, and other space infrastructure (where no licensed missions are tasked); (d) carry out in-space search and rescue of U.S. persons and property and collaborate internationally on such search and rescue per U.S. agreements, including U.S.-ratified international space treaties; and (e) as the lead U.S. agency, coordinate national space offices and collaborate with international space offices for planetary defense against near-Earth objects and extreme solar events. NSS suggests that a feasible pathway to creating a national civil Space Guard would be to evolve it from the Commerce Department’s uniformed NOAA Officer Corps (NOAA Corps). 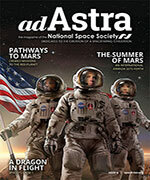 I recommend that the US government and society launch a pathway to creating a national civil Space Guard. And I support the US government and society taking steps to create a national defensive military Space Force.